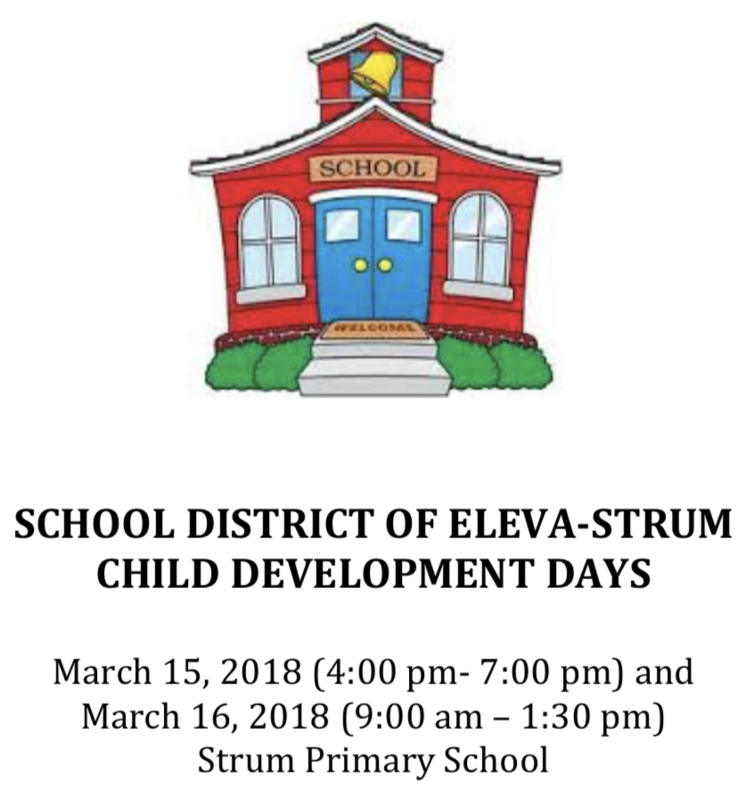 The School District of Eleva-Strum is hosting its Child Development Days on March 15, 2018 (4:00 pm- 7:00 pm) and March 16, 2018 (9:00 am – 1:30 pm) at the Strum Primary School. If not currently enrolled, preschoolers between 2 and 5 years of age and their families are encouraged to attend. Information about your child’s overall development will be provided to parents and staff will be available to answer any questions or concerns you may have. Please call 715-695-2916 to receive additional information and to schedule your appointment.